New York, August 20, 2014 - Inc. magazine today ranked Technology Professionals, LLC NO. 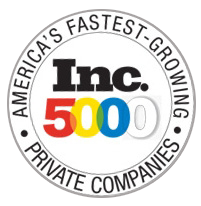 3660 on its 33rd annual Inc. 500|5000, an exclusive ranking of the nation's fastest-growing private companies. The list represents the most comprehensive look at the most important segment of the economy—America’s independent entrepreneurs. Companies such as Yelp, Pandora, Timberland, Dell, Domino’s Pizza, LinkedIn, Zillow, and many other well-known names gained early exposure as members of the Inc. 500|5000. Technology Professionals, LLC is an 11 year old technical consulting company headquartered in Houma, LA. They focus on bringing complete technology solutions to companies of all shapes and sizes in all industries including the private and public sector from Texas to Florida. You can reach Jason W. Bergeron by phone at 985-868-6851 or online at www.techprollc.com.